New Karma Wheelchair is a term that is used synonymously with our Ergonomic Wheelchair Series. We carry 8 Ergonomic models of manual wheelchairs, each has its own unique features and capabilities. If you are looking for an Ergo Active wheelchair then you should explore our ERGO ATX model which features an Ultra lightweight frame, with compact dimensions and a rigid structure. It is a foldable New Karma Wheelchair that can be used as a sport wheelchair or active wheelchair. Foot plates are fully adjustable, which allows your legs to be positioned at any desired angle. One of the unique features of the Ergo Active ATX chair, is that it comes standard with our patented S-Shape Seating System, which prevents slipping and helps to prevent pressure sores from developing from heavy use. S-Shape Seating System also helps to promote good posture while sitting on this chair. This Ergo Active ATX model is a result of years of research and development. The welding, tubing, and components are optimized to achieve the highest strength to weight ratio that is possible with this type of medical equipment. As support grows within the disabled sport community, conventional wheelchairs are no longer the norm in competitions, light ergo active wheelchairs have become the standard for any wheelchair user that uses their chair for sport purposes. Sport wheelchairs tend to have a rigid frame structure and are usually non-foldable because this allows the materials used to manufacture it, to be merged completely only through welding procedures, which means that there is less vibration and the frame itself feels a lot tighter when sitting on the chair. Our Ergo Active Wheelchair provides users with a foldable frame that is rigid enough to be considered a Sport wheelchair, this allows you to fold your chair for easy storing purposes and transporting the chair without any hassles. 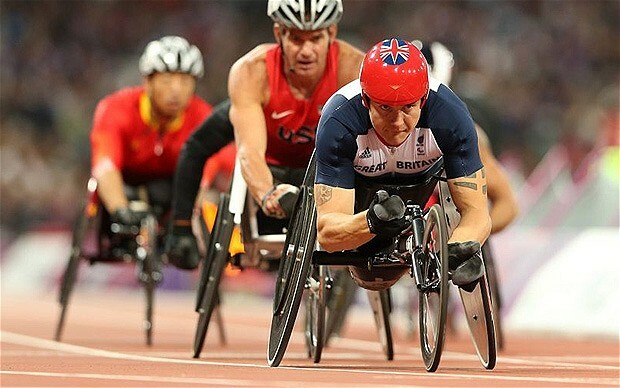 The Paralympics have grown in support within different communities, including the disability community, this means that a lot more sponsorships with disabled sport athletes are coming to fruition, which means there is more resources for Sport wheelchair manufacturers to experiment with wheelchair frame building, and component additions. The Paralympics also allows Sport Wheelchair Manufacturers to receive feedback from disabled athletes on their sport models, which helps them upgrade and continue to innovate the Sport wheelchair industry. If you are looking for a ergo active wheelchair that is capable of being used for wheelchair athletics, wheelchair basketball, wheelchair fencing, wheelchair rugby, or wheelchair tennis, the ATX allows you to enter the world of disability sports without the worry of spending tens of thousands of dollars if you are on a budget. Although Sport wheelchairs are typically built for the sole purpose of a particular sport, if you are an avid fan of the Paralympics and have the desire to have a rigid foldable active wheelchair, then look no further than the ERGO ATX model, which allows you total maneuverability and strength, thanks to the use of the lightest materials possible. Contact us for more information on the New Karma Wheelchair through the form at the bottom of this article.